Henik Lake Adventures | Hunting in Nunavut | Caribou, Musk Ox, Grizzly! We’ve enjoyed a 100% success rate the past 4 years with 75% of animals making book. Great odds!! 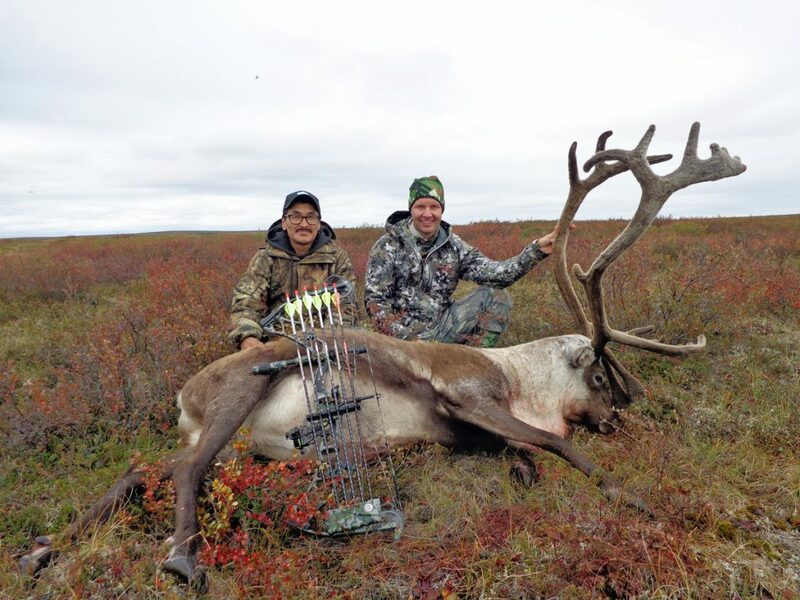 Our Nunavut Caribou hunts still provide the highest success rates for trophy caribou …period. High bow success. Combine a Muskox and a Caribou on our Fall hunts. A top notch adventure for Bow and Gun Hunters Alike. Excellent Arctic big game hunting opportunities, good food, comfortable accommodations, experienced guides and an Arctic wilderness that is untamed and unspoiled. We are the first outfitter in the eastern Arctic to invest a significant amount in the resources required to establish the infrastructure and equipment that will provide you with a safe and successful hunting adventure in Nunavut. This is wild country. And we’ve been here for over 40 years. Join us for the hunting experience of a lifetime! We’ve experienced a 100% success rates on our Musk Ox hunts, not to mention the fact that this is a true Arctic adventure! I truly had a great Muskox/Caribou combo hunt. Your guides were top notch and they had tremendous knowledge of the country. These were the 21st and 22nd animals on my way to the North American 29. Thanks again Dave.